Bag black leather bag with a brass buckle. 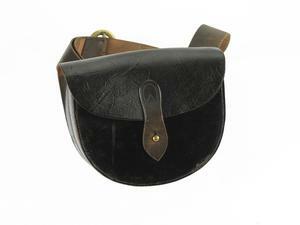 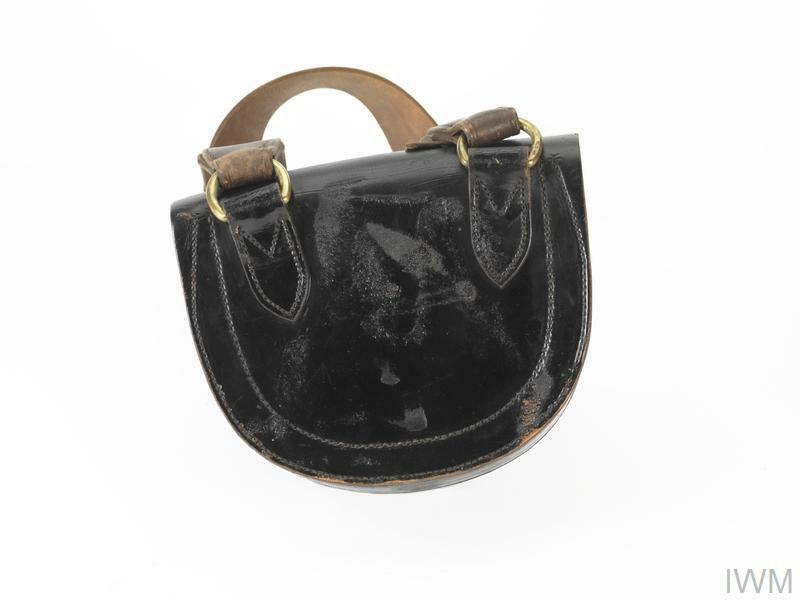 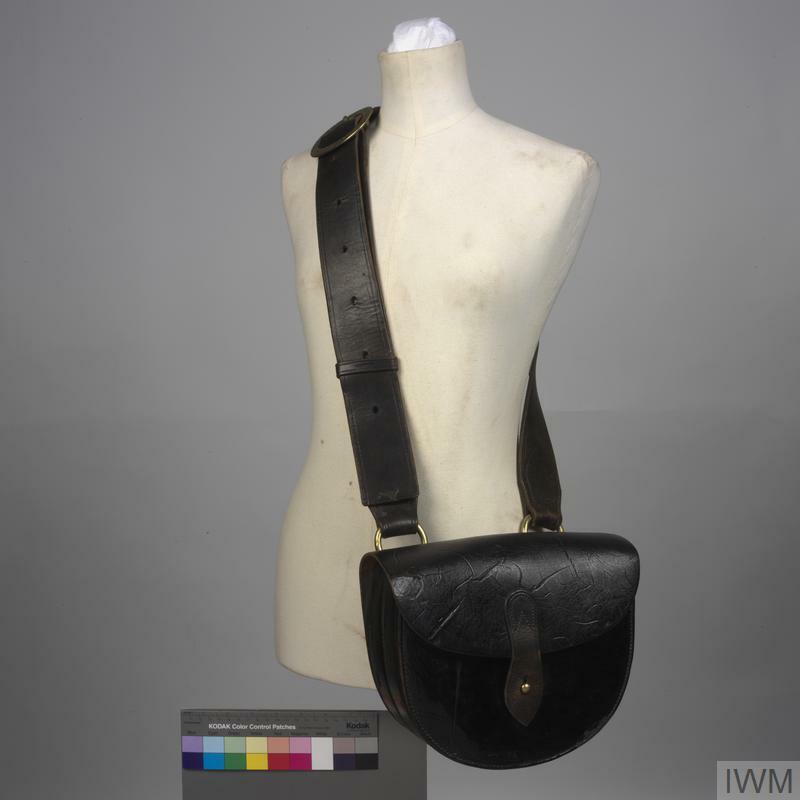 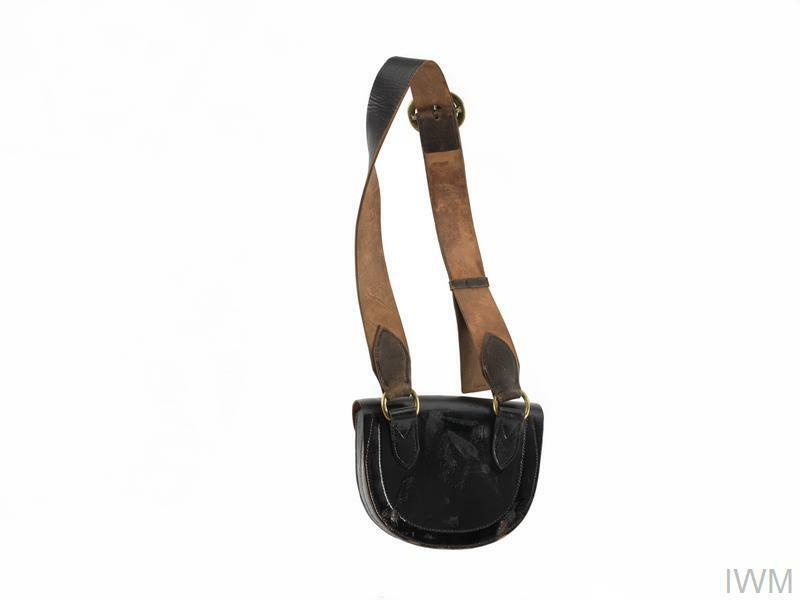 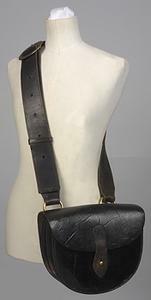 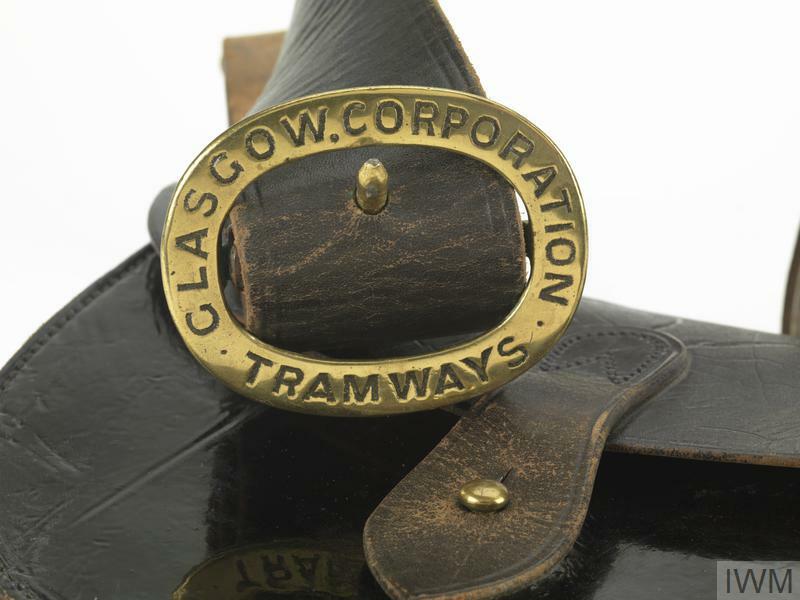 This type of bag was worn during the First World War by conductresses working for Glasgow Tramways. 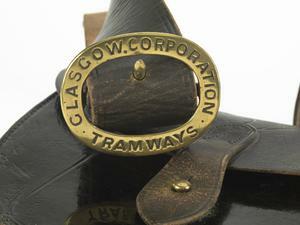 Two women were taken on by the City's Tramways Department in April 1915, becoming the first conductresses in Britain.